Andrew Chin is a Connecticut native who graduated from Wesleyan University with a Bachelor of Arts in 2007. After a career in politics, he transitioned to physical therapy and graduated with his Doctorate of Physical Therapy from the University of Connecticut in 2017. He is excited to have recently joined the Carlson Physical Therapy team. 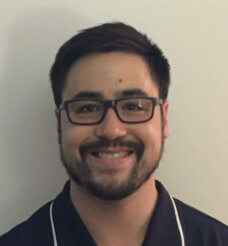 Andrew is trained in manual therapy techniques and therapeutic exercise. He enjoys working with all patients and helping them return to full and healthy function.